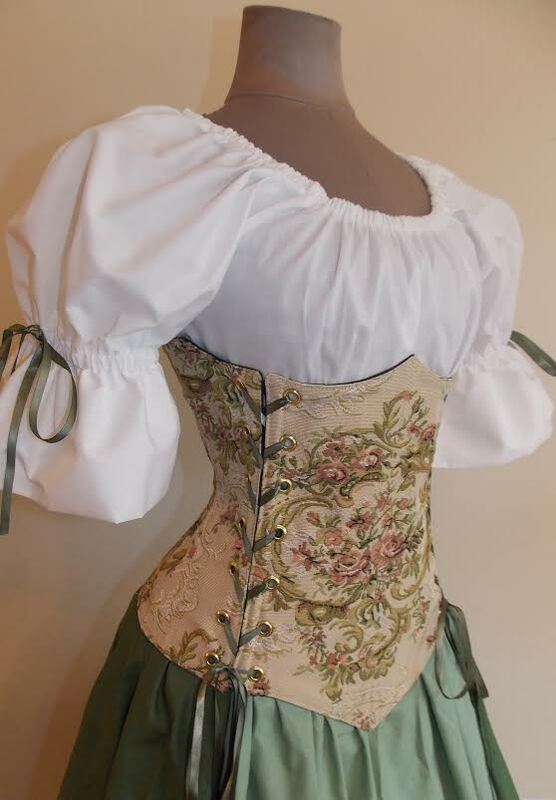 3-Tie Under-Bust Corset - Rose design tapestry, with olive ribbon ties. The under-bust corset is reinforced with steel boning and will help flatten your tummy and give your waistline a nice curvy look. 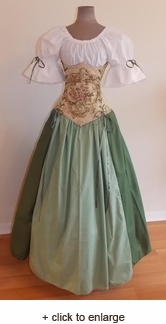 This corset is unique in that it has two laces in the front and one in the back. This allows for great adjustability and the perfect fit, it is better to be too small and leave a larger back gap, than to be too big, so be careful when measuring! The chemise top can be worn on ~ or ~ off the shoulders. The a-line skirt has an elastic waist and is 42" long. 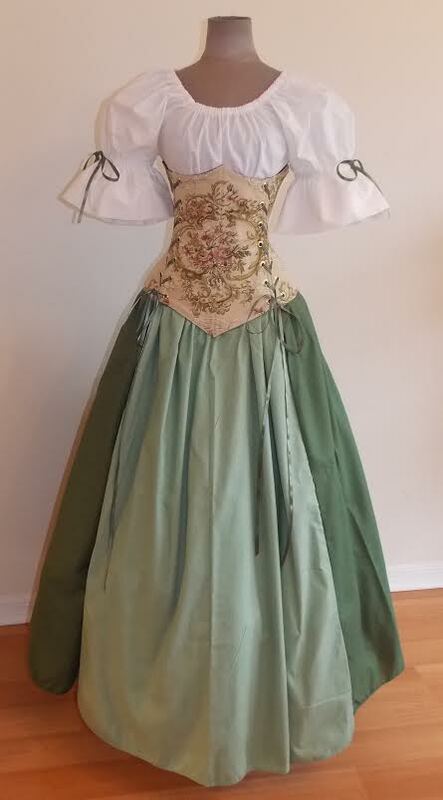 Pictured over a full crinoline (not included). 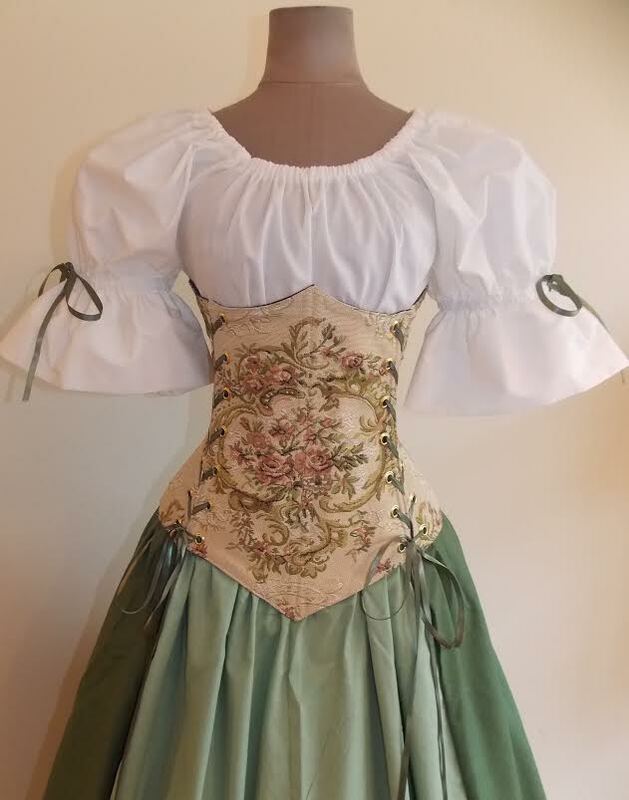 When measuring for a corset, please deduct 2-3" for a proper fit, it is better to be too small and leave a gap between the back lacings, than to be too big.